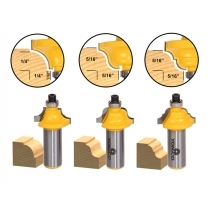 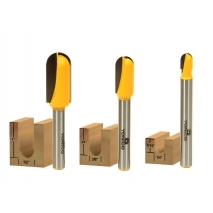 Choose from a great selection of router bit sets that range from large multi bit sets which include many bits of all types and sizes to smaller sets that focus on specific bit types or uses. 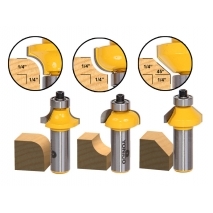 Our very popular 70 piece router bit set makes a great gift idea for woodworkers of all skill levels while our complete cabinet door router bit sets are great for production shops and cabinet makers. 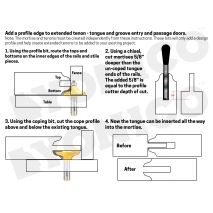 Other sets in our selection are door and window sets, straight bit sets, trim sets, molding sets, joinery and dove tail sets, edging sets and much more. 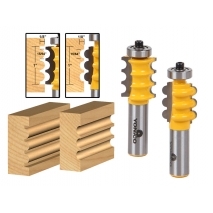 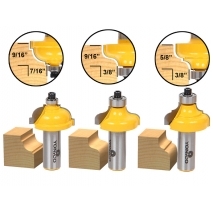 Some of our sets come in a choice of 1/2" or 1/4" shanks to meet all router requirements. 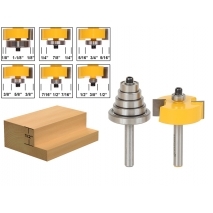 Every one of our router bit sets are a great value and saves the customer lots of money versus buying each router bit individually. 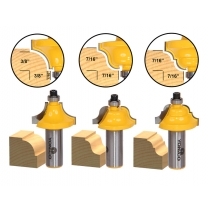 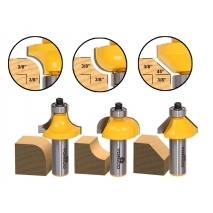 Additionally, all our router bits come with a satisfaction guarantee and limited lifetime warranty.